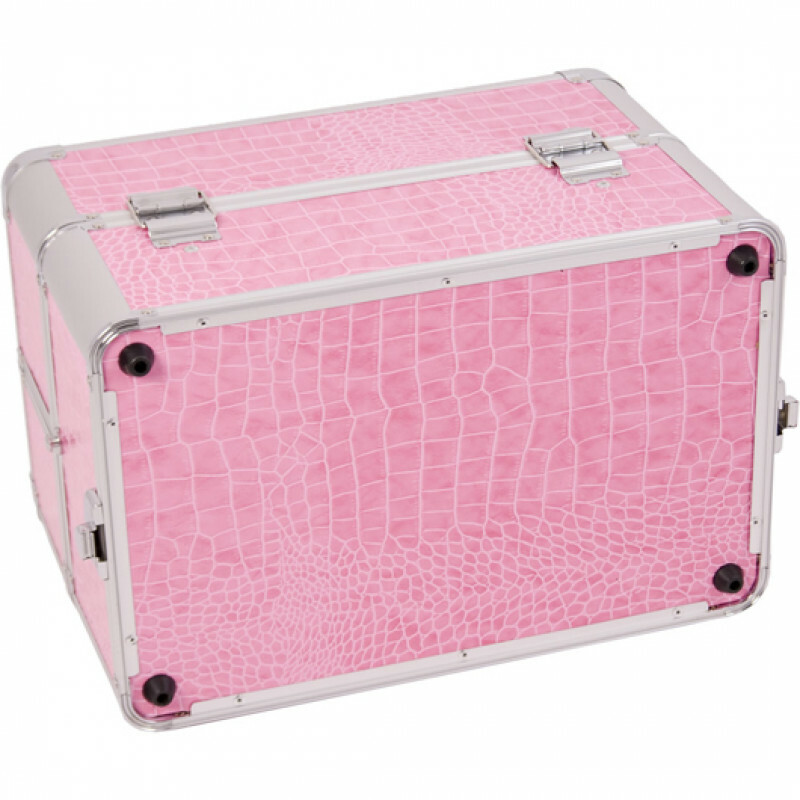 The E3304 Sunrise Pink Croc 3 Tier Tray Makeup Case w/ Dividers is interchangeably attachable to any E series rolling cart. 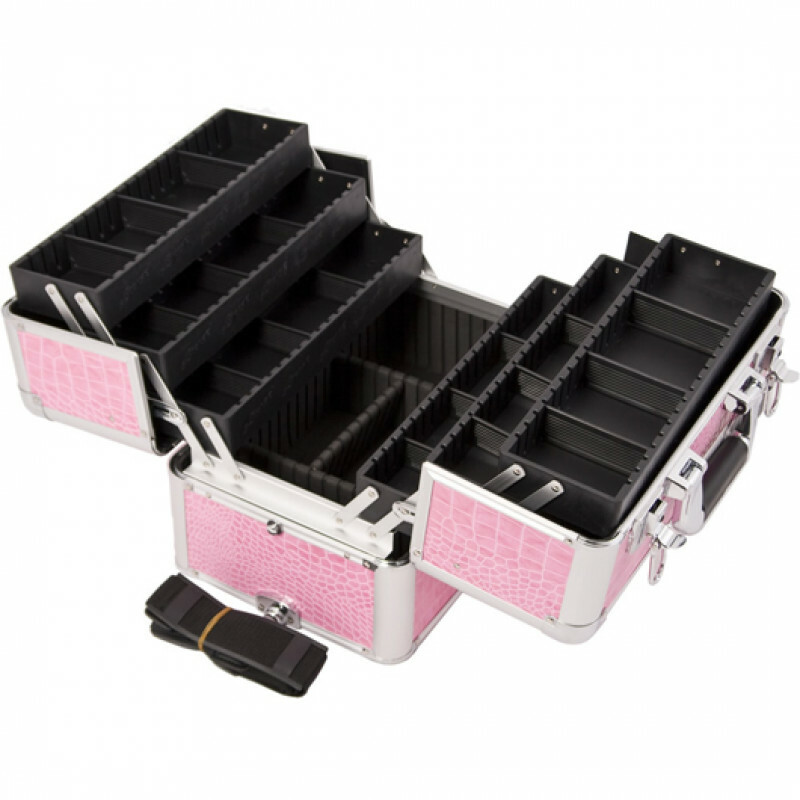 Ample storage for makeup and cosmetics. 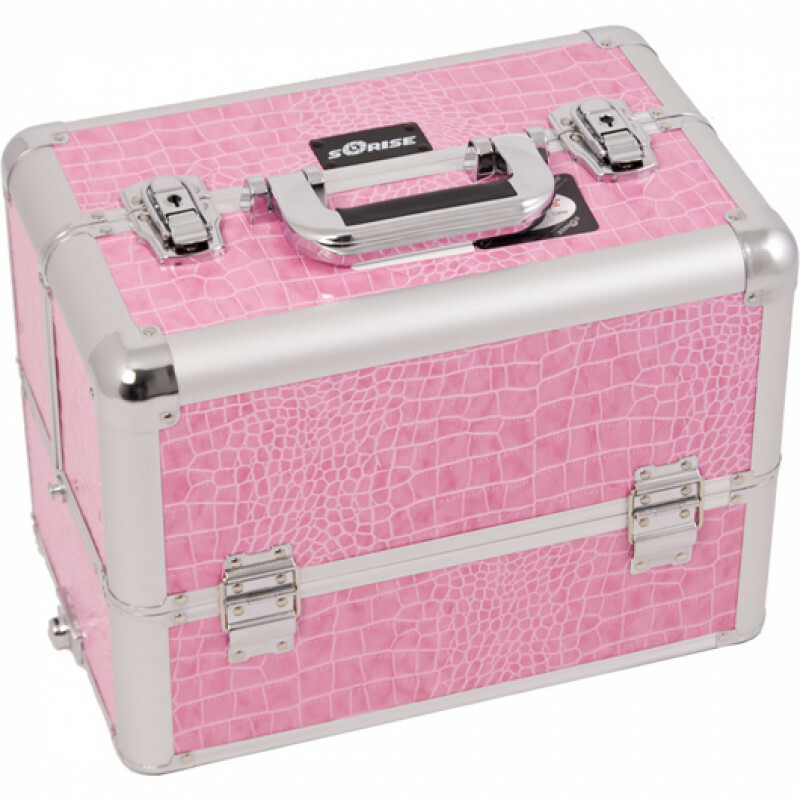 Heavy duty easy grip handle and removable shoulder strap make carrying a breeze. 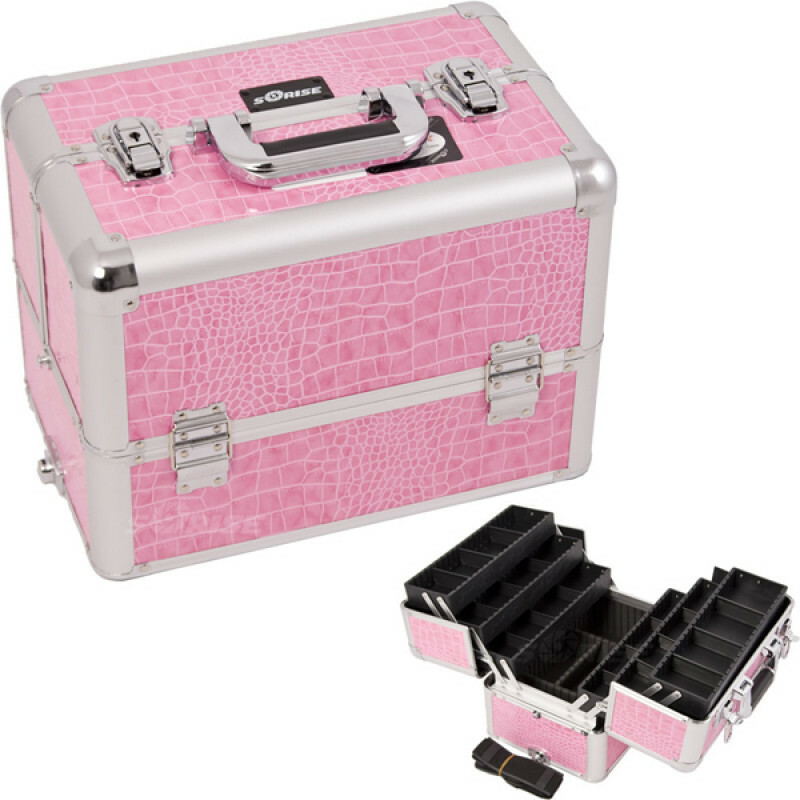 This case can be attached to any E series Rolling case by Sunrise Cases.